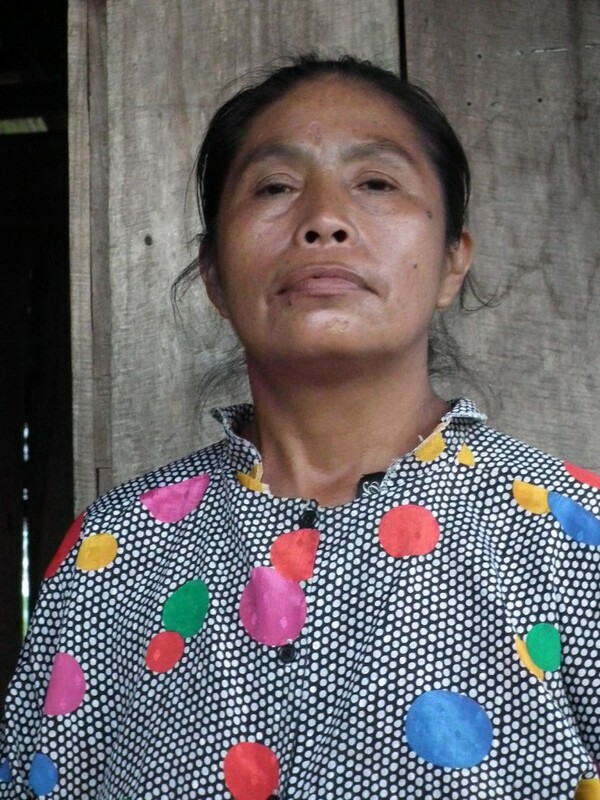 Sinforiana is 55 year’s old and one of the village elders of Pozo Azul in Bajo Chirripo, Costa Rica. She is the mother of Arnaldo, Yoleny, Nemesio and Adrian – who hosted the Raleigh project team, housed and fed us. This post is the result of an interview with Sinforiana by Fer Zuniga and myself, translated from Spanish to English by Tutti and rewritten in the first person by myself – some interpretation was required as Sinforiana’s mother tongue is Cabecar and her Spanish limited. We asked her about her life growing up in Pozo Azul, her earliest memories, how things had changed and what she thought about the Raleigh project team. Sinforiana and life in Pozo Azul: “Many people are scared to talk to people like you, but I am not. I talk to everyone and I am very happy you are here. People from the community are embarrassed because they have brown skin and are afraid to talk with white people [Costa Ricans]. The community were very afraid when the school was built 10 years ago about what the white people might do to our community, but life has got much better, we now have a road in and everyone has wooden houses. I feel the culture is improving and I feel happy because each day there is more facilities than ever before. I am also happy because I live near my family and every member is close to each other. When I was growing up only our family lived in the Pozo Azul. We were 9 children. There was no road in, no wooden houses; we lived in a traditional circular banana thatched ‘hu’ [house]. There were no other houses nearby, no school and no clinic. In those days lots of wild animals roamed across the valley – but now the number of animals have dropped a lot. In the past the people had different places to keep animals and different places for the crops, to stop the animals eating the crops. Now my sons are trying to do the same by the building of the pigsties, so that we may start to grow our own crops again. On the Raleigh project team: “I am very happy that you have come to stay and to help us build the community centre. I thank everyone for coming such a long way, for being away from your own families for so long. I also thank your families for letting you be away from them for so long to come to help the people of Pozo Azul. Raleigh are people of good heart and I would like to do something to help you someday, but I do not have the chance to go to where the people of Raleigh are, because it is very, very far. I am surprised that you came so far and left your families, because when I go to San Jose for 3 or 4 days, I feel pain in my heart leaving my family, so I do not understand how you are here. I pray to God to look after you and that you all go home safe and well”.